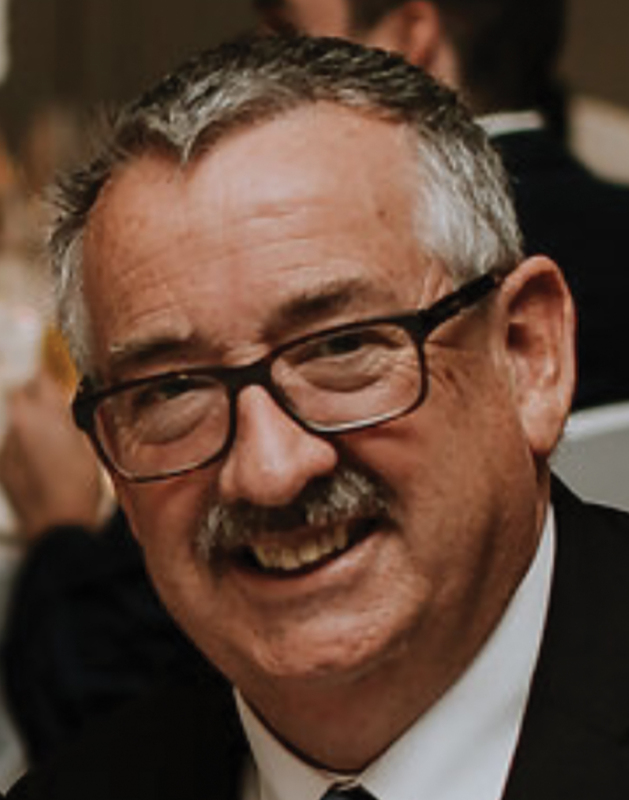 Mike Smith, convenor of the Automotive Repairers Council of Australia (ARCA), recently travelled to Frankfurt in Germany for what is the world’s leading trade fair for the Automotive Industry: Automechanika Frankfurt. In this article, he discusses just some of the developments underway which will benefit workshops everywhere. When I walked away from Automechanika Frankfurt on the 15th of September after five big trade fair days, my mind was boggling at the sheer opportunities which will soon be available to workshops across the globe. I wasn’t the only one either – a record number of exhibitors were on-site and an amazing 136,000 trade visitors from 181 countries joined me in marvelling at the ongoing developments for our industry. 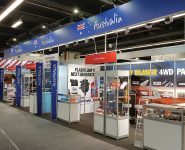 More than ever before, this year’s show was focused on the future and an amazing range of innovations on-show left me more convinced than ever that the future for Australia’s workshops is exceptionally exciting. To detail all of the things I saw over the five days that I feel would be of interest to you, I would need more than these two pages! So instead, please read on for my top five. While I was at Automechanika Frankfurt, Porsche was the one and only OEM I saw which was actively speaking to the independent repairer at the trade fair. 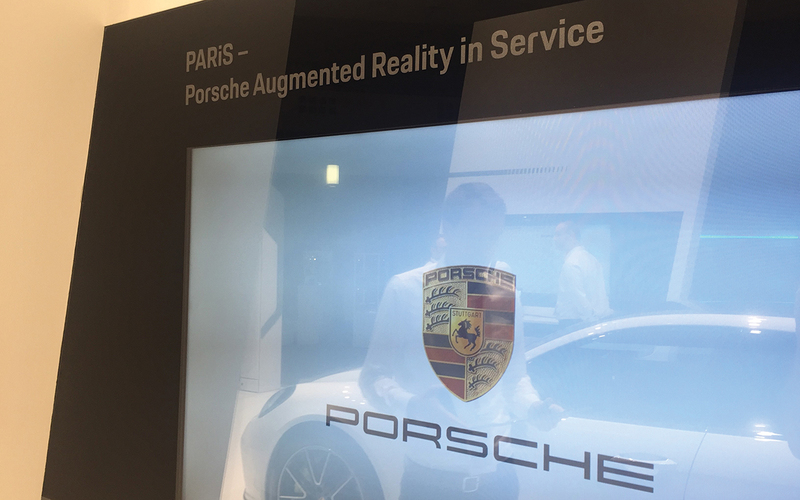 Not only did Porsche have its workshop information system on display, it also had its Porsche Augmented Reality in Service (PARiS) system available for attendees to experience. The PARiS system really is something remarkable and hopefully, is the start of something which will become more and more common as we move into the future. By using augmented reality tablets, the system allows technicians to conference in a Porsche specialist to be talked through a repair job, or to stream live video of a problem to Porsche so the remote support worker can post helpful repair tips in the worker’s peripheral vision. In addition, by using a tablet in camera mode, technicians can overlay the real vehicle with an image shown on the screen – the image will then ‘lock on’ to the real car and highlight the parts you are interested in and even identify the necessary elements together with instructions on what you are trying to do – for instance, disassembling a particular component. The capability of this technology is really interesting, Porsche are even using virtual reality as a marketing tool to sell their vehicles. As would be expected, Schaeffler had all of its aftermarket parts on display for show attendees, but what really stood out for me was its prototype inlet valve operating system. This exciting prototype uses a combination of a single cam shaft and an electronically controlled, oil pressurised solenoid control valve. 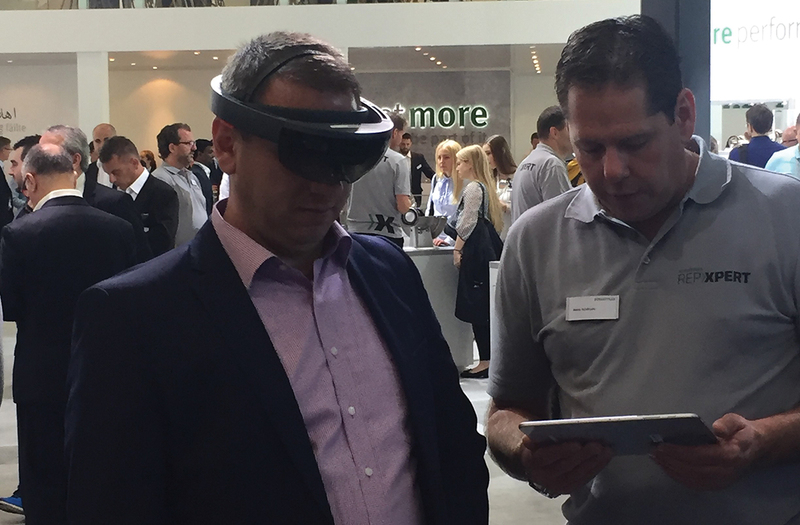 Also grabbing my interest was Schaeffler’s own virtual reality experience. Schaeffler’s new virtual reality goggles overlay a virtual image onto an engine while you carry out a repair, with this exceptionally helpful tool further supplemented by an online connection to a Schaeffler master technician. It is said that connected mobility is the way of the future and after my experience at Automechanika Frankfurt, I can tell you this is not going to change any time soon! 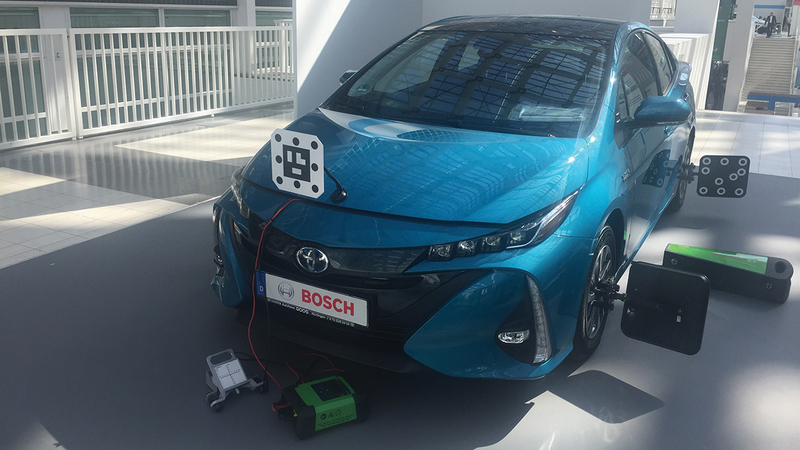 While at the show I attended a series of presentations where a number of presenters tackled different subjects which are critical to this new way of the future, such as security, software, battery technology, driver monitoring systems and the danger of hacking. Of particular interest was the presentation of Shay Horowitz, the Head of Marketing for Cymotive Technologies who detailed how Cymotive Techologies employs hackers to specifically break into systems. In his presentation, he detailed how this activity was proving that currently, the most simple way to hack into the systems is to attack ‘dongle’ devices plugged into OBD2 ports. From a workshop point of view, whilst we are not seeing widespread hacking, this is a key piece of information to be aware of when it comes to this easiest point of entry for our customer’s vehicles. Also presented was Re2you.com GmbH’s system which promises to allow for 100 percent compatibility across any device, regardless of its operating system. In today’s day and age, compatibility is a hot button topic and along with the other attendees I was suitably impressed when the Chief Executive Officer, Ghazaleh Koohestanian, demonstrated the capability by downloading a AC/DC song from a PC server in Australia to her iPhone before playing it to the audience. While this software is mainly aimed at OEMs currently, it is exciting to know that such software exists – especially for those businesses who operate across multiple platforms. Driver monitoring also received plenty of attention, with particular focus given to a new low-powered 140Ghz radar which is being developed by Neteera Technology and monitors driver cardio and pulmonary metrics. The idea behind this new-age tech is for it to alert drivers to fatigue and possibly, even slow the car down. In the case of autonomous vehicles, it is proposed that the car would take a driver to a hospital if a heart attack was detected. With driver monitoring becoming mandatory in the EU in 2020, this is something that will become commonplace before we know it – be ready to see cars sporting this technology in your workshop sooner rather than later! When it came to batteries, Kreisel Electric GmbH Chief Executive Officer, Markus Kreisel, took us through not only his company’s batteries but also its fast and low-cost battery charging technology for electric vehicles. What was interesting about the Kreisel Electric batteries was the fact that they are modular in design, which allows for defective cells to be replaced. They are also temperature controlled by coolant, allowing for optimal output, charging and preventing thermal run away. They have also been designed for a variety of applications from electrical vehicles and chargers to home battery storage units. Meanwhile, it was interesting to learn that the company’s rapid battery charging technology for Electric Vehicles uses a storage battery connected to a normal power supply, thereby eliminating the need for special high voltage connections. Another incredibly useful tool I was happy to get more acquainted with at the show was the PicoScope. Sometimes known as a labscope, the PicoScope turns your laptop or desktop PC into a powerful diagnostic tool. Those behind the tool say you can think of it like the X-ray machine of diagnostics, as it lets you see the changing signals inside the wires. You can purchase a PicoScope on its own, but it is common for purchasers to also buy one of PicoScope’s award-winning automotive diagnostic kits – for example, at the show I was able to witness a PicoDiagnostic NVH sensor being used with the scope to identify the source of vehicle noise by comparing waveforms against known waveforms for various components. I can certainly think of plenty of uses for this kind of technology in our workshops! While at the show I was pleased to be able to attend presentations from both Bosch and Hella on the subject of calibrating front cameras and radar sensors. Research presented in these presentations – in particular by Hella – showed that we are in the middle of a large growth period for front cameras and radar sensors and in response, Hella is getting ready to expand their training offerings. When it comes to how they calibrate cameras, each manufacturer had a slightly different system. Bosch had a stand to which different OEM camera targets were attached, while Hella attached a target to a single board. In both cases, the camera calibration process used a stereoscopic (two targets) method of setting the system, but it is worth noting each OEM has their own targets and various set-up distances from the stand to the vehicle. The basic procedure is generally similar however. First, the calibration stand is placed at the OEM-specified distance from the vehicle, and then levelled and aligned along the longitudinal axis of the vehicle using a laser range finder and pointer. Then, the radar is set-up on its own stand using a similar set-up process. Once this set-up was complete – taking around five hours – a suitable scan tool is then connected to allow the system to be calibrated. This scan tool carries set-up instructions in its software, and in some cases, is used alongside a wheel alignment tool. It was quite confronting to realise how exact this technology needs to be, and how being even just one millimetre off can cause more than one metre or more of error for the car radar. It is needless to say that this kind of equipment requires significant investment and training, and you would also need a space that is not only large enough, but also level enough, to carry out the procedures – in fact, the largest system I saw required an area of 10 metres by five metres. If you did want to look at incorporating this service into your business, once you have the equipment and have received some training calibrating is essentially not a difficult exercise and can be thought of as another revenue stream and so is definitely an area for workshops to keep an eye on. With so much development underway, I can’t wait to see what is on show at Automechanika Frankfurt when it returns in September of 2020.